AT&T (American Telephone & Telegraph) is the world’s largest telecommunication company, the second largest provider of mobile telephone service, and the largest provider of fixed telephone services in the world. 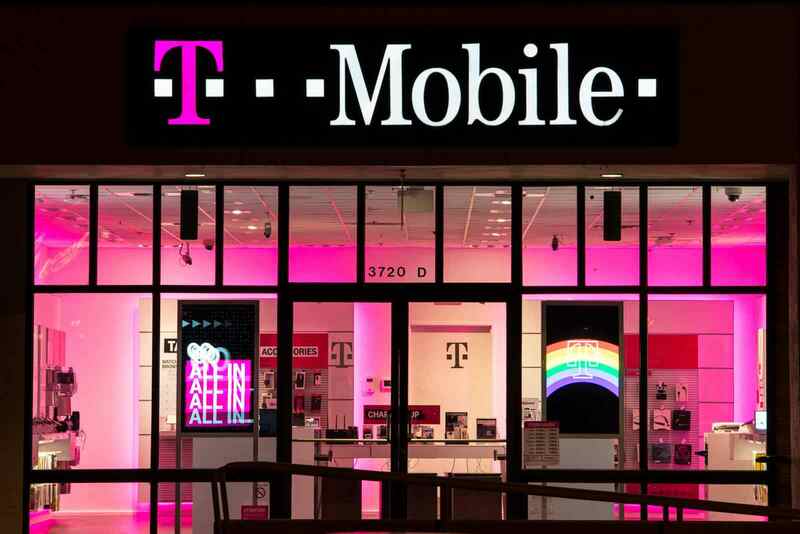 As the second largest provider of mobile telephone services, AT&T is one of the major providers of Apple’s mobile devices, and all such iPhone come with an AT&T carrier lock. Therefore, it’s necessary to know how to unlock AT&T iPhone iOS 12. Part 1: Why is My AT&T iPhone Locked? Part 2: How to Unlock AT&T iPhone? 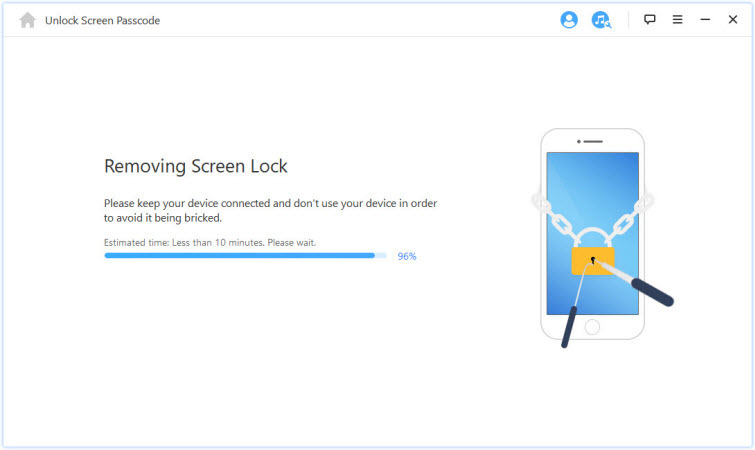 Part 3: How to Unlock AT&T iPhone Screen Lock? Why is My AT&T iPhone Locked? AT&A as a major provider of Apple’s iPhone goes into a contract with Apple Inc. which stipulates that all iPhones distributed through AT&T marketing services will be AT&T carrier locked. This simply means that if you buy an iPhone from AT&T, it will be locked to other networks like T-Mobile, and the mobile network will not work with any other networks SIM other than AT&T. However, if your iPhone is AT&T locked, you can’t unlock your iPhone to use any other network carrier SIM card by following the process below to request an unlocking code from AT&T to unlock AT&T iPhone iOS 12. In the following paragraphs, we shall be sharing some tips on how to unlock an AT&T locked iPhone. Before we share the process of unlocking AT&T iPhone, we would like to share the requirements and restrictions that you need to know. The iPhone must be AT&T locked. The iPhone must be an IMEI blacklisted iPhone. The iPhone must not be associated with fraudulent or illegal activities. The cost of buying the iPhone from AT&T with other iPhone services must have been paid in full. The iPhone must only be active on your AT&T customer’s account. The 14 days buyer’s remorse period must have been terminated before requesting to unlock your iPhone. Step 2: Read through the eligibility requirements for unlocking AT&T iPhone iOS 12. Step 3: Agree to the eligibility requirements, then complete and submit the request form. Step 4: You’ll receive a confirmation email shortly after submitting your request. Go your mailbox and click on the confirmation email link sent to you. Step 5: Wait for AT&T to respond to your request with two business days. Step 6: Once AT&T has sent you the instruction to unlock your carrier locked iPhone (i.e. 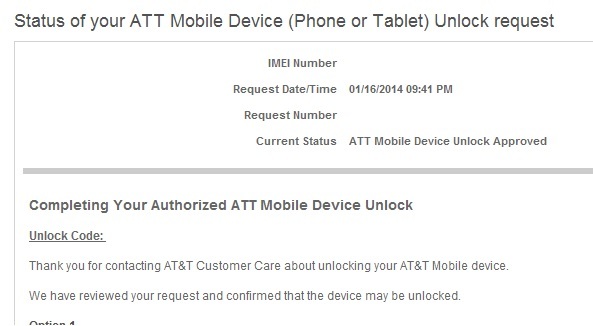 if you’re approved), you can follow it to unlock AT&T iPhone 6... and submit them. As we earlier mentioned, your request for an AT&T unlocking code will be attended to by AT&T customer service personnel in less than two business days. However, this doesn’t mean that it’s a guaranteed success because the mobile network carrier company has the right to drop your request. How to Unlock AT&T iPhone Screen Lock? Are you looking for a way to unlock AT&T iPhone iOS 12? Everyone sets a password to lock the screen of their iPhone. One of the reasons is to make sure that the strangers don’t use your phone. Unfortunately, sometimes, you set a complicated password and then you forget it. When you enter incorrect password several times, the AT&T iPhone will get locked. Moreover, this is a very common problem among iPhone users. It is a dreadful and daunting experience to not being able to unlock your phone. 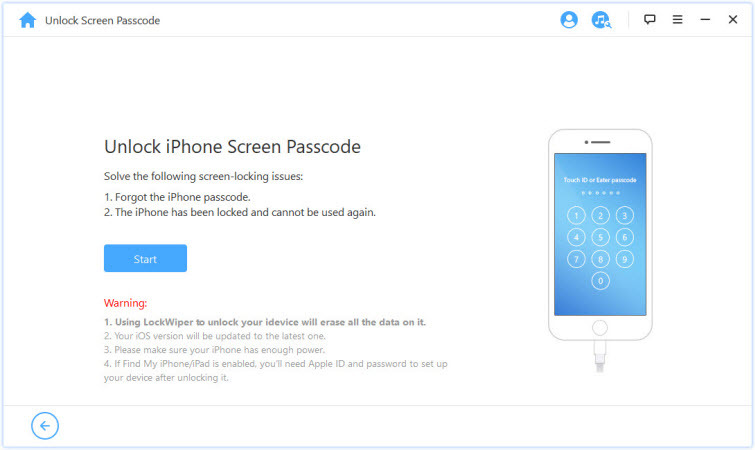 Don’t worry, we have the perfect solution for you to unlock AT&T iPhone 6. iMyFone LockWiper is a wonderful tool that will help you unlock your phone easily. 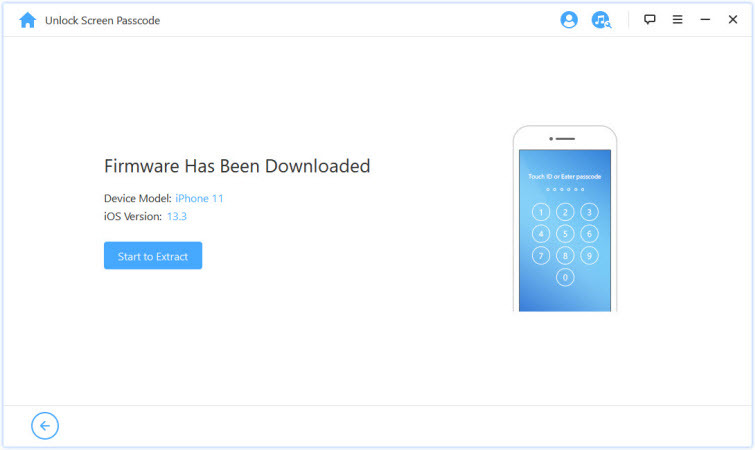 This tool will help you unlock your iPhone without the passcode. It is able to unlock Face ID, Touch ID, 4-digit, and 6-digit passcode. You can use it to unlock the lock screen of all iPhones including AT&T iPhone. The tool can work perfectly with a wide range of iPhones and iOS 11. It supports locked, broken, and locked iOS screen. It can also unlock Apple ID without password on activated devices. 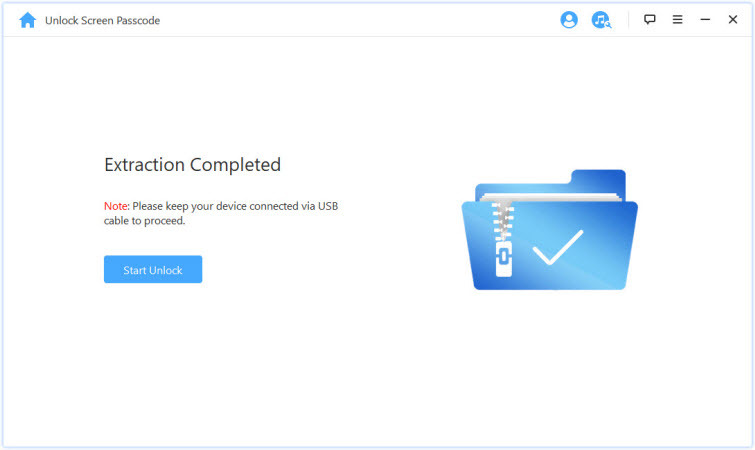 Step 1: First, you need to download and install iMyFone LockWiper on your computer. Launch it and click “Start”. 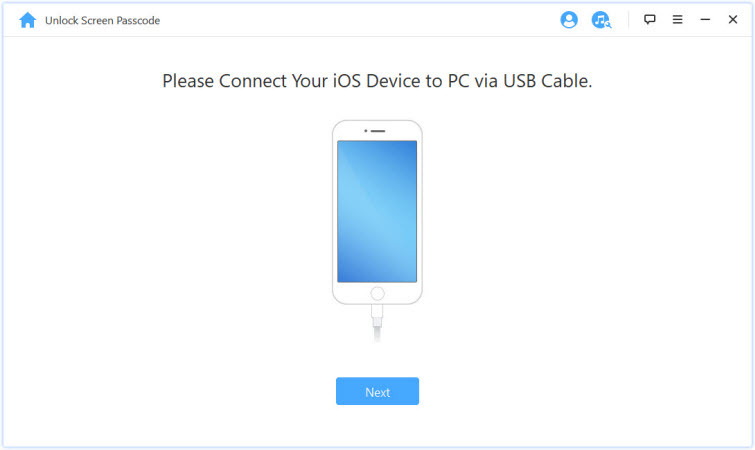 Step 2: Then you need to connect your iPhone to a computer and click Next. Step 3: The information of your device will be displayed. 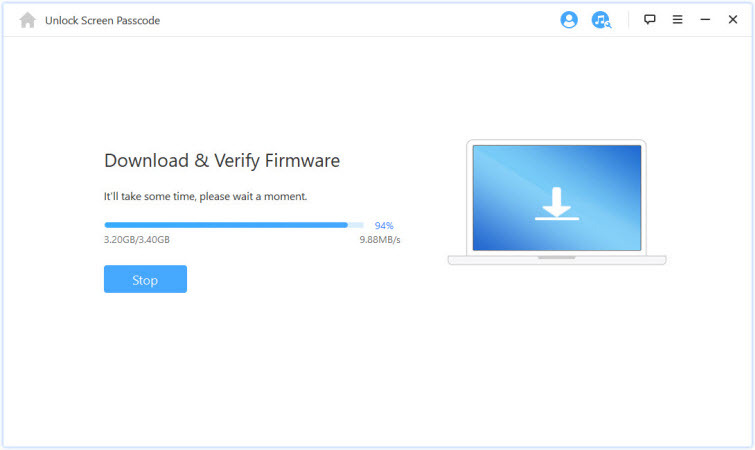 If there are any wrong details, correct them and hit the “Download” button. 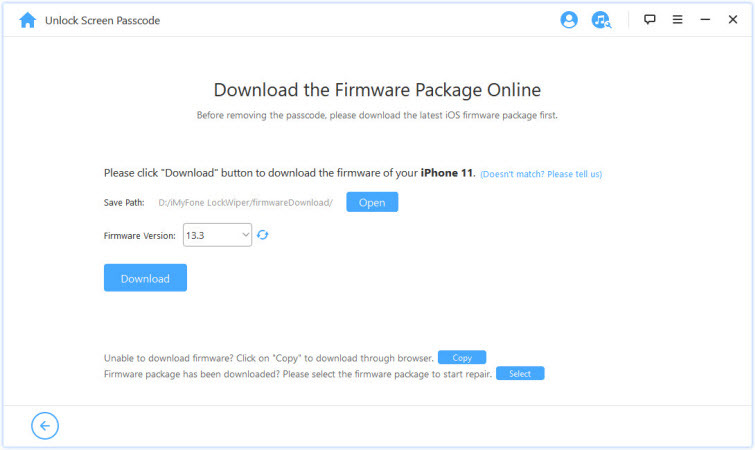 Step 4: Wait it to download and verify the firmware. Step 5: After the verification, just click on “Start to Extract”. Step 6: Click Start Unlock now. You will be ask to double confirm unlocking by enter “000000” to continue. Step 7: Within few minutes, your iPhone will be unlocked and you can use our phone without entering the passcode.